Yellow goldenrods sway in prairie meadows and a gentle breeze blows through the aspen. Black bears pad along boreal trails and the piercing sound of elk bugling echoes around the forest. 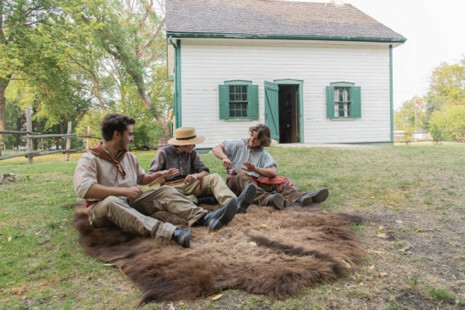 Visit Grey Owl’s historic cabin and see the enduring landmark of the East Gate. Climb, hike or mountain bike the Manitoba Escarpment whose 65 million year-old rocks soar to almost the same height of Toronto’s CN Tower. Go to sleep under canvas lulled by the sounds of night birds and wake to decide which of the 400 km of trails you’ll hike today. Spend lazy nights under canvas and enjoy endless days exploring the natural beauty of the prairies and the sparkling waters and sandy beach of Clear Lake. Share a picnic on the deck of your oTENTik tent-cabin. Thrill to sound of howling wolves and bugling elk, spot black bears and bison, watch the sky shimmer with northern lights.